Good morning and Happy Belly Laugh Day, Beer Can Day, and Compliment Day... So, basically, we're celebrating the beauty of the beer gut. Virginia is looking to legalize marijuana sales in liquor stores! Uh, whaaa?! Emily from RWDC/the Challenges started a new blog all about being fit like her! Considering her body is amazing, I say "yes please." THE SPICE GIRLS REUNITING!? Please be right, MTV! Prepare yourself: The 5 types of moms your boyfriend could have. Should a mom get arrested if she lets her 10 year old boy get a tat? What if it's sentimental?! This German trucker lady just doesn't give an eff. Talked about on air last night: Worst first date foods. Consensus: Don't eat on the first couple dates. The most stressed out cities in America. Florida is not lookin' so fun right about now. Yikes. 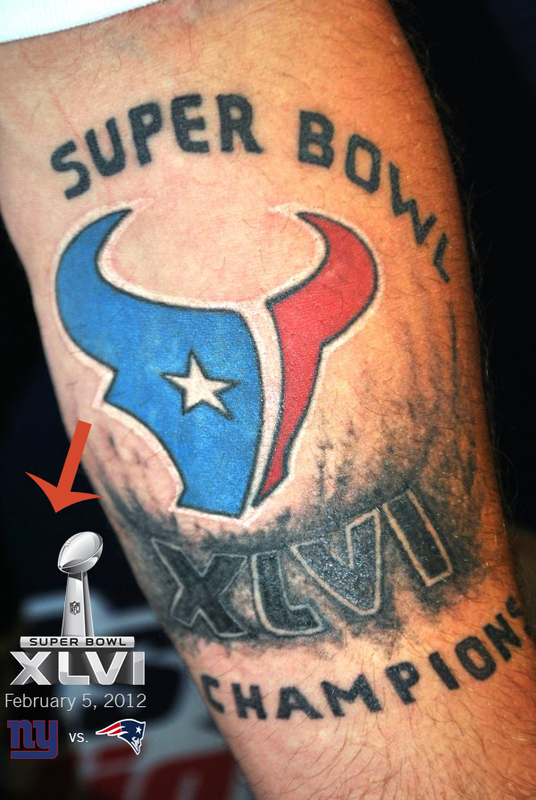 Reallyy unfortunate sports tats, probably resulting from a bet. I'd rather have Rihanna's thong-bikini bod. and I still love these pictures of colorful explosions! Jim Carrey's daughter auditioned for American Idol! Miley Cyrus tributes Bob Dylan and it's really good. And that's that for now! Still campaigning to get on Ellen's show! She showed some last night, I was not included. Hmpppphhh.